I was blithely checking my e-mail when I read a message from someone asking how to make “this”. Of course I clicked the link to check it out. 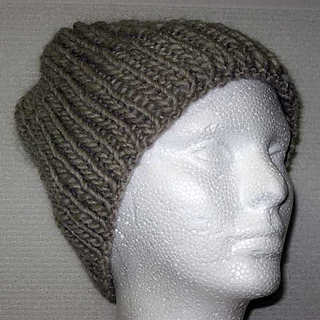 The object of the knittely quest was a beanie hat with the beard attached. Now this plea I had to answer. I send her a link to my Crochet beard. Unfortunately t was not helpful - she does not crochet. That was when I was seized by compulsion. Dropping all I was doing I cut (still can not believe this) yarn with which I was knitting my new slippers because it was the right color and started to knit a beard. About an hour later I was done. I had the beard and got the pattern down. It was not enough! 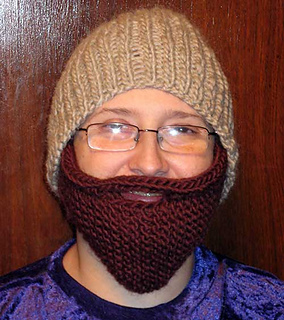 I had to knit a beanie to attach the beard to! The only reason why I used this yarn was that it had a “beard-like” color. What I did not think about was the itch factor. If you really dislike the giftee - go right ahead and use it. But if you feel any pity towards the person who will be wearing this beard - get a softer, each-less yarn. 1 Skein bulky yarn - I used Lamb’s Pride Bulky. Tapestry needle to weave in the ends. 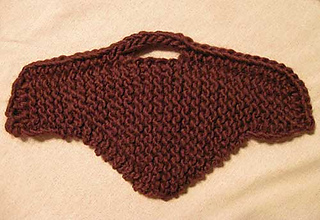 1 Skein bulky yarn - I used Lamb’s Pride Bulky in Roasted Coffee color.